Have You Already Sewn the Seeds of Churn? Are you unhappy about the churn rates in your SaaS? To be fair, if you know what you’re doing, this is probably the least likely situation, however it does happen. If your product doesn’t reach certain standards or expectations of customers, you’ve probably lost them before their free trial is even over. Lack of testing and research among your target audience. Failure to define a clear target audience in the first place. Poor UX design inhibits the customer experience. Your app is frustrating to use. Customers expect that an app will make something easier, not create extra steps for them. Your app just doesn’t solve a clear problem, or doesn’t do so in a way valued by the customer. The customer can’t see any difference between what you’re doing and other, more established competitors. A presentation from Preact shows common reasons for churn below — as you can see “product underperforms” is still at a rather high 19.5%. While you won’t always hit a winner immediately, you can avoid being part of this statistic by spending enough time on thorough research and development before releasing your product. First impressions have a lot to answer for, which is why you will see some SaaS come back with a completely new name and branding. This is really another part of “product underperforms” and a lack of good research before releasing it. The value of a SaaS product is in the eyes of the beholder — if they can’t perceive value from your product, it’ll be dead in the water. The “value” of your SaaS product is really in the eye of the beholder. What does “value” mean? 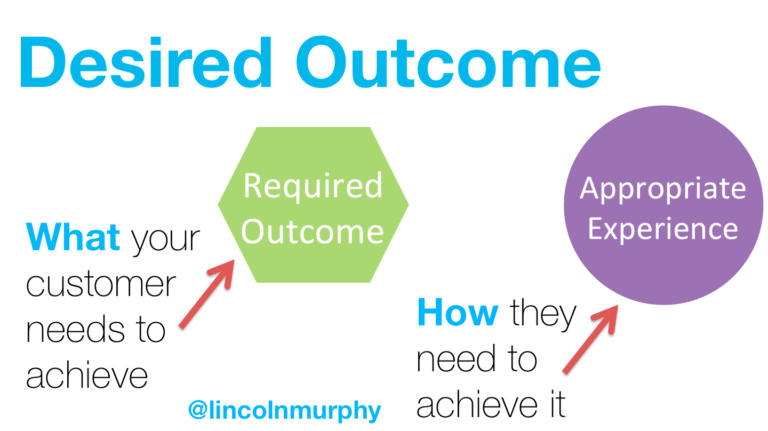 Getting back to Lincoln Murphy, he links value to the customer as being defined by their own desired outcomes of the product. Granted, these may look slightly different for varying customers, but there are often similar trends and a similar path of success milestones — steps which are vital for the customer to take in reaching those outcomes. So, if the customer will perceive value based on achieving their own desired outcomes, it is the role of the SaaS to ensure that they smooth the path as much as possible for them to get there. You may have already sewn the seeds of churn if you’ve blithely released a product before giving any consideration to the customer journey and success milestones they must reach. Customers may perceive value anyway, but it’s always better if you’ve planned and accounted for ways to deliver it. As pointed out in the Sixteen Ventures diagram below, “appropriate experience” is a large component of delivering the desired outcome, so this must be a consideration for SaaS. How many of us sign onto a new app or service and are happy to cruise along waiting for a “win” from our decision? For most people, the answer is “I want it all, I want it now” (cue the popular Queen song). For SaaS, this means that you need to be able to deliver quick wins which keep the customer happy and try to shorten the amount of time it takes for them to see the very first value delivered. This does take some planning on your part and admittedly, a “quick win” might look different for any given segment of your customer base, the point is that you need to discover what these are and make a point of delivering on them as early as possible. The process itself is too complicated. The user can’t easily find where to go, what to do or where to get help. The user is “forced” to go through a lengthy process when they just want to get straight to using the app. The UX for your onboarding is poor. The customer loses interest quickly or they find it clunky to use. You haven’t mapped out the process and worked out how to quickly deliver value. A successful onboarding experience for the customer begins with setting up the right expectations — if you haven’t done so, well, those could be seeds of churn right there. You want to avoid a disconnect between “product and packaging” in that customers come onboard expecting a certain experience due to your marketing materials but get another. 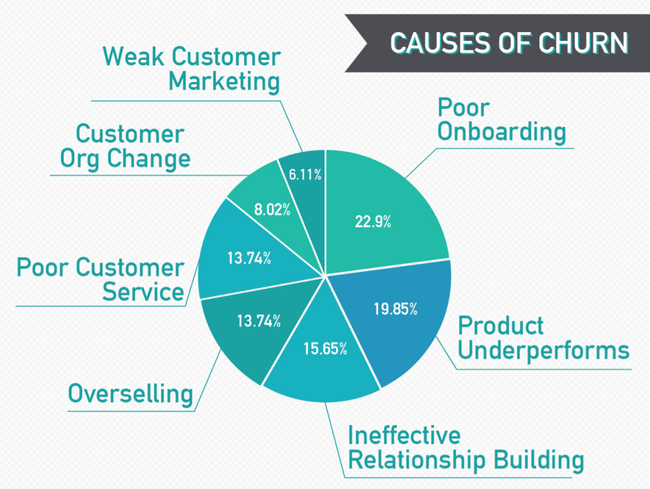 Going back to that earlier graph from Preact, “poor onboarding” was the highest category for causes of churn at 22.9%. It is absolutely vital to put time into devising a good onboarding experience prior to releasing your product — why waste time and money on marketing if you haven’t got it nailed? If there’s one lesson you can take from bricks and mortar retail stores, it’s that customer service is not a good area to skimp on or look to cut costs. It’s all part of that very-important “customer experience” for your user. Poor staffing choices for customer service — people who are not prepared to look outside of the box. Not enough staffing on customer support, causing backlogs in requests. Service is not prompt enough which might cause very real problems for the customer (our ecommerce friend is losing sales, for example). Failure to explore issues thoroughly — in this case, the customer has to do all the work. For the sake of retaining your customers, put proper resources into customer service if you want to be around for the long term. Getting this right from early on is an important part of encouraging retention. Have you already sewn the seeds of churn in your SaaS? If so, it’s not necessarily too late to do anything about it. Begin with solving a clear problem and putting the time into research and development. Identify your target audience and engage them early through user testing before releasing your product. On release, you should have developed a strong onboarding plan that seeks to help the user reach “first value” as quickly as possible. Make sure your customer service is top-notch and that the overall user experience is designed to delight. The seeds of churn are sown early, but you can remove them by putting in the right amount of effort. Have you considered these elements of customer experience? Subscribe here for this extra checklist.